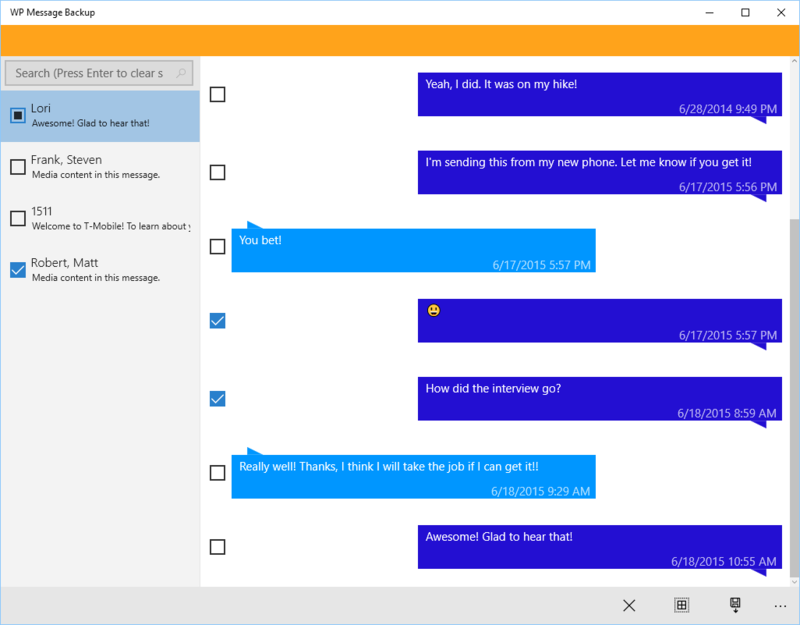 Download, view, and export your messages from your Windows Phone 8 or Windows 10 Mobile device. WP Message Backup is available for Windows 10, Windows 10 Mobile and Windows 8.1. See what WP Message Backup can do! © 2017 Tafidi. All Rights Reserved.